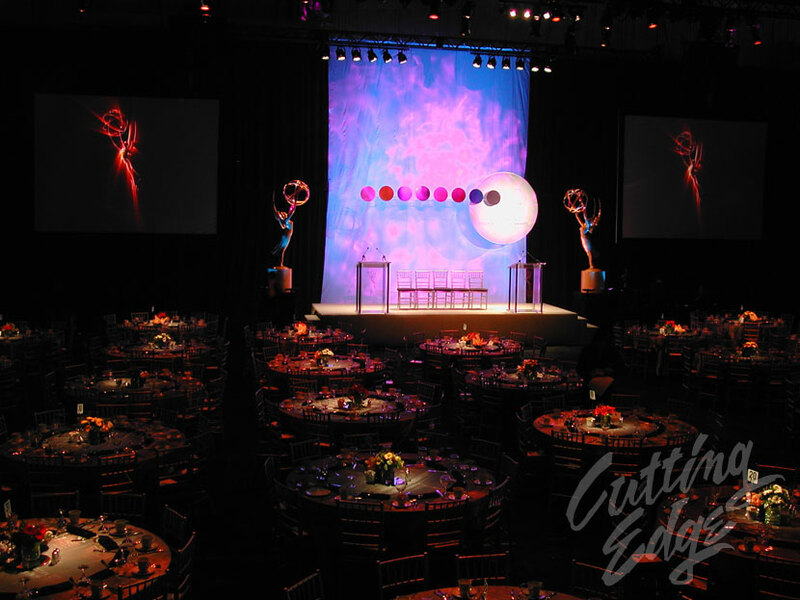 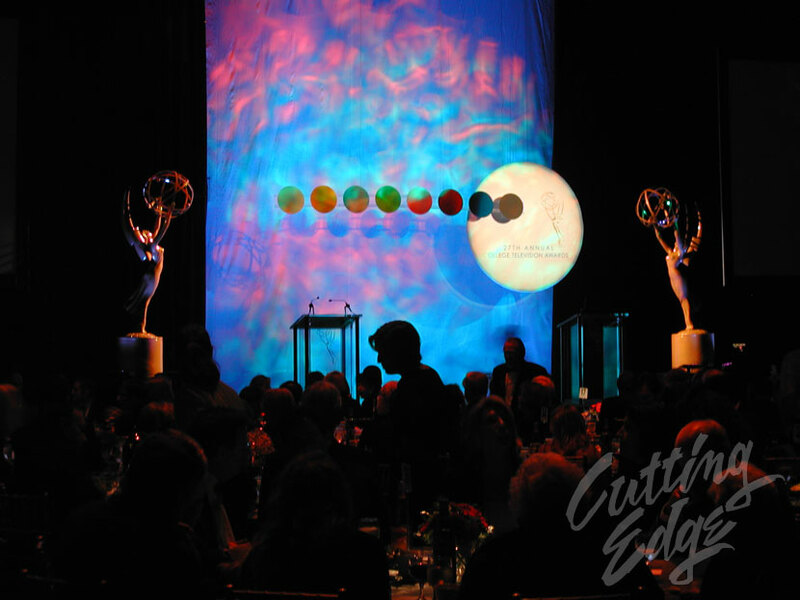 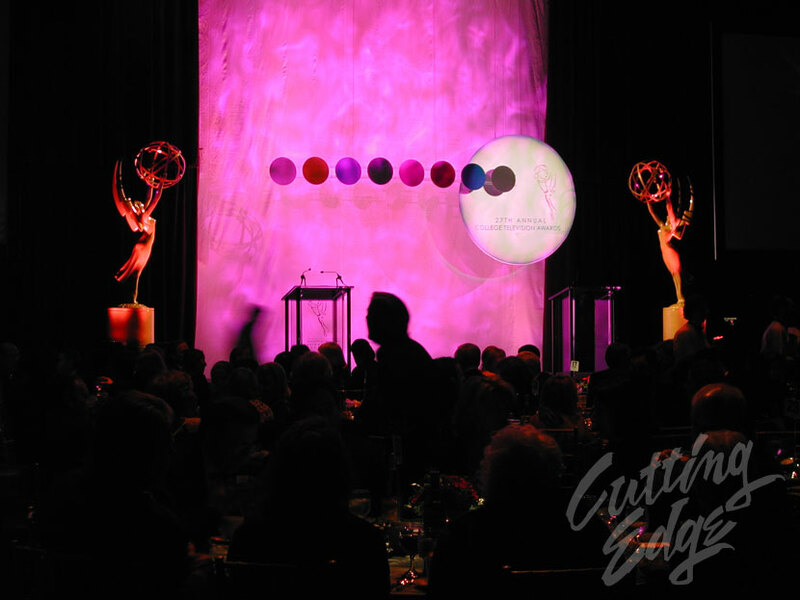 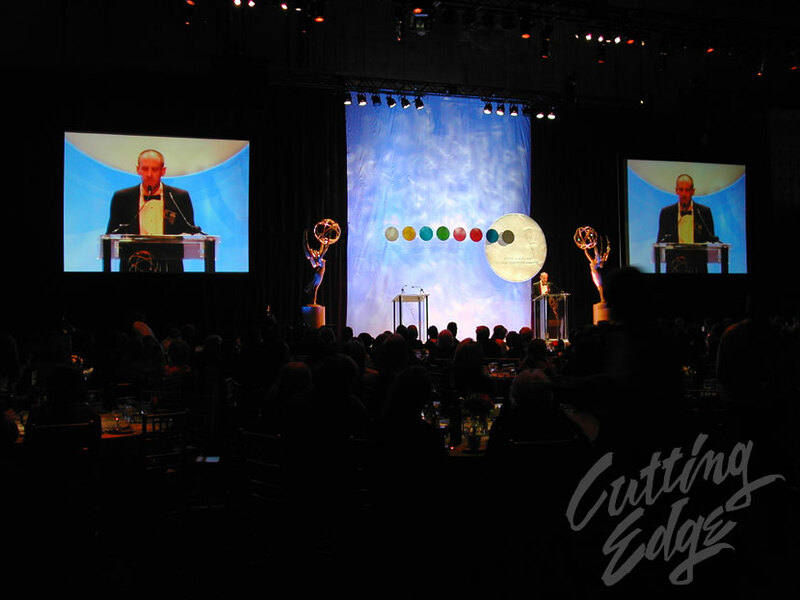 Above are photos from another awards show, where we provided a multi-camera switch package. 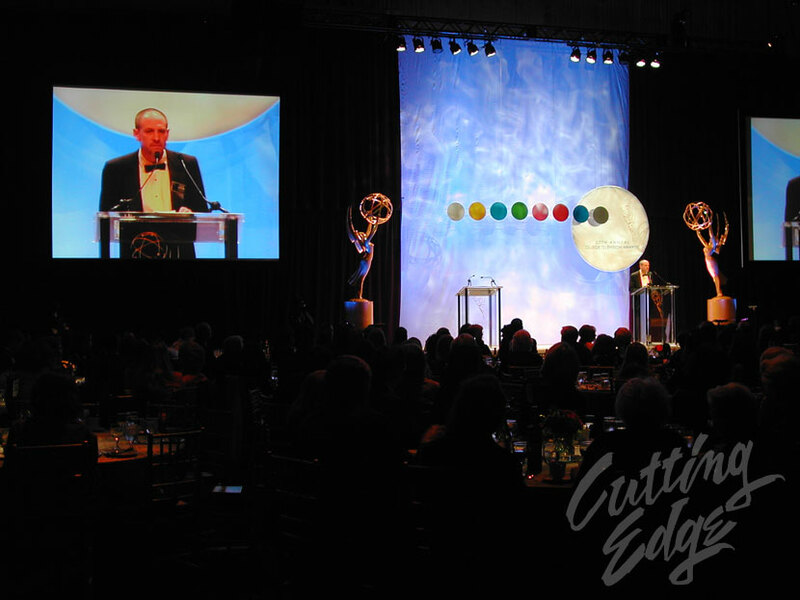 For image magnification, (also known as "IMAG"), We switched between multiple live cameras, video playback, and graphics. 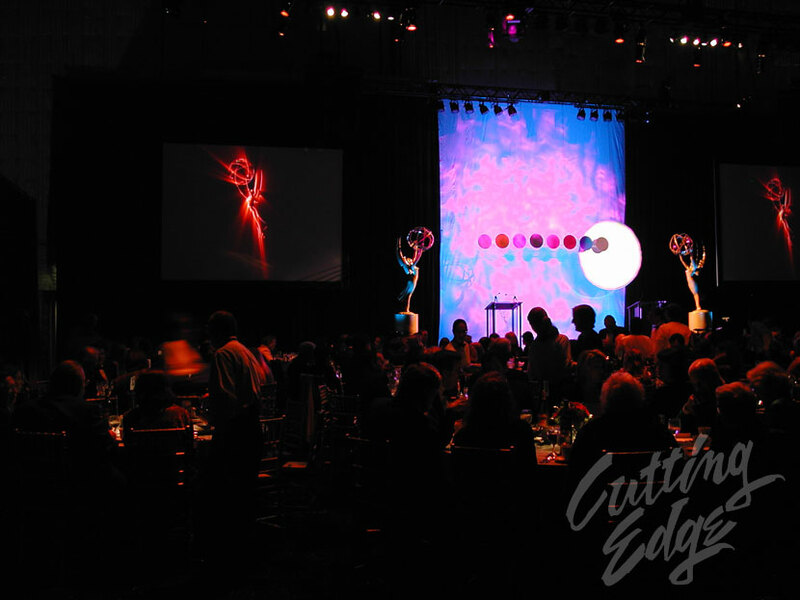 The screens are 12' x 16' and are being projected onto with 10,000-LUMEN LCD VDEO PROJECTORS.